The play which is electric with suspense and with a shocking twist in its tail will play from 26th June to 30th June 2018 at the Theatre Royal Glasgow. 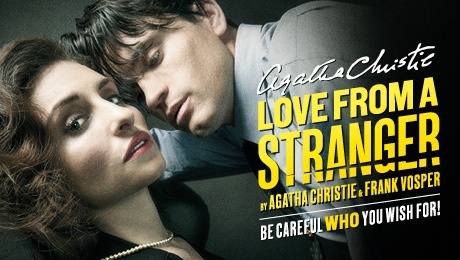 Fiery Angel in association with Royal & Derngate, Northampton present Agatha Christie’s Love From A Stranger by Agatha Christie and Frank Vosper. This edge-of-your-seat, rarely seen thriller by the UK’s greatest crime writer is rediscovered in a brand new production by Lucy Bailey (Gaslight, Dial M for Murder). The tension builds to a terrific twist, and sharp detail abounds along the way.